Are you interested in taking part in the National Hearing Aid Project? You can help by participating in a simple grassroots activity that will help us collect hearing aids of any age or condition to be refurbished and given to eligible recipients of the program. Collection centers currently in operation are noted below. The mission of The National Hearing Aid Project is to provide access to hearing aids and related hearing health services to those that otherwise could not afford them. Setting up collection centers nationwide will ensure hearing aids no longer being used will not go to waste, and can continue to improve someone’s quality of life. Once you have your list, simply contact or visit each site and ask if they would consider being a collection/donation center. 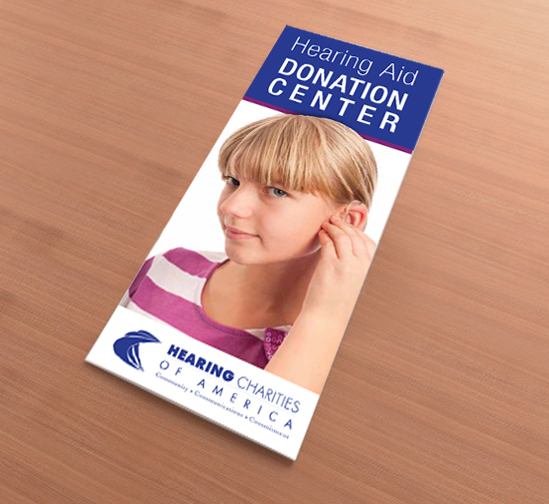 You will have a flyer that explains the program and how to contact Hearing Charities of America to receive collection brochures and display stand. Then simply thank them for their time and your part is complete. All we ask is that you provide us a list of those you contacted. If the site chooses to become a collection center, we will ship the materials directly to them.